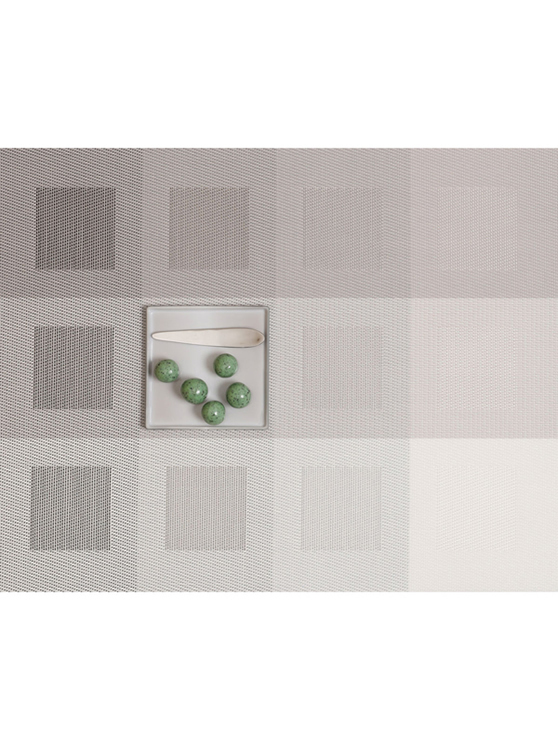 Engineered Squares placemats have already become a modern classic for Chilewich and are recognized around the world. A gentle gradation of tones moves over a grid of 12 squares resulting in the most geometric of all Chilewich designs. These placemats are suitable for indoor and outdoor use. To clean, simply wipe with soap, water and a soft sponge/cloth. Standard antibacterial cleanser can also be used. Air dry.